Many people are under the false impression that great spiritual leaders do not have a care or a problem in the world. That somehow or other, they have broken through into another realm. That they live in continual pleasant circumstances, where nothing ever goes wrong. That they never have any problems, troubles or trials to face. 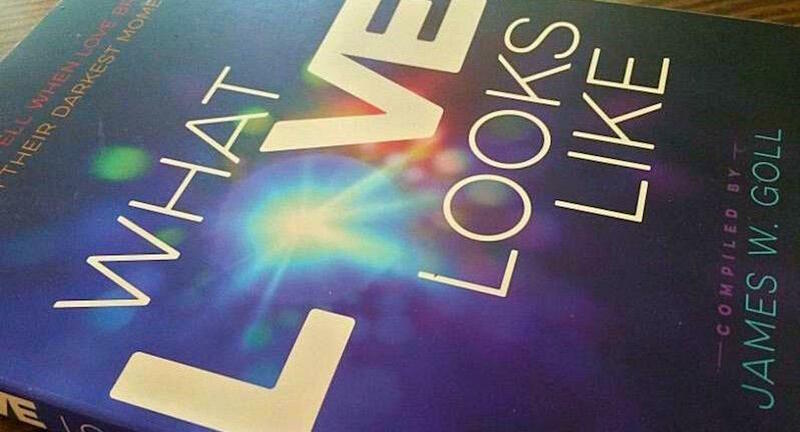 Recently, I was fascinated to read a book, compiled by well-known author and prophetic minister James W Goll, entitled What Love Looks Like. In this book, twelve leaders share stories when the love of God broke through their darkest moments. Chapter after chapter, you read true stories that plummet you into the depths of their darkest times. Yet, it is inspiring as you see how God brought them through their darkest moments. You are encouraged to believe God can do the same for you. Bill Johnson, in the forward to this book, shares the impact that a book like this can have on its reader, ‘I love books about radical faith, great achievements and un- usual conquests. I absolutely love being provoked by the kind of messages that launch me beyond the boundaries of what has become common. I also love the behind-the-scenes stories of people who live on the constant edge of what is thought to be impossible. It feels as though they are summoning me into pursuing things in God I had never even dreamed of. These messages awaken something in me that truly makes me feel alive at a whole new level. Mahesh Chauda tells the story of the radical call to obedience, during the birth of his son Aaron, who at birth was facing death. At this critical time, Mahesh was scheduled to minister in Africa and his wife insisted he keep this commitment. Reading their story, you find out that ‘God is pure love and His love always breaks through.’ You see how miracles occurred because of obedience, including raising a young boy from the dead. Barbara J. Yodis tells her story, ‘I had just finished cooking supper. As soon as we sat down to enjoy it together, I looked at Paul (my husband) and immediately heard these words, ‘Your husband is not going to make it.’ At the time he had a chronic, potentially fatal physical condition. Paul had struggled with his condition for a year, and it had taken a turn for the worse. He sensed it, and I could feel him slowly letting go of life as we know it. He was weary with the process of fighting for his life. But I had never visited this place of losing. I was sure that he could beat it, and God would heal him. I am just a positive person by nature, so the words I heard shocked my inner world.’ Some time later, true to the words she had heard, (which she had checked out with other experienced, prophetic ministers) Paul died. He was gone. Reading Barbara’s journey of how she walked through unrelenting grief to recovery and the enemies she faced along the way will give people courage and faith to walk through the valley of the shadow of death. Another story comes from Mickey Robinson, who shares the events that surrounded a plane accident when he had been skydiving. The plane he was on had crashed, leaving him with catastrophic injuries. Somehow he lived, followed by an experience in the third heaven as he describes, ‘Chronological time is connected to the physical plane of created things. Everything spiritual is continual and everlasting. I was experiencing my first revelation of eternity. Its rich colors astonished me, as did the freedom I felt at being out of the physical dimension. Without any control on my part, I was gliding toward the purest white light, a portal of entrance that emanated a compelling peace. Feeling pressure on my right side, I turned and looked. What I saw was a black abyss – an eternal, bottomless pit. I could feel the nature of it: everlasting solitary confinement, nonnegotiable separation from the source of life. My spirit man had glided to the entrance of the white portal, but I was not being eclipsed, almost as if I were being swallowed by this outer darkness. I cried out the same desperate please: ‘I’m sorry! Help me, please! I want to live!’ Thrust through this white portal, I burst into God’s presence, in the third heaven. Instantly I knew I would never die, forever and ever. The majesty and glory of God were everywhere. Somewhere to my immediate left, I sensed the very presence of God Himself. I was standing in the glory of what is called the River of Life.’ Thus began Mickey’s journey, which involved many trips to the hospital for reconstruction and plastic surgery. He met and married Barbara and eventually was drafted into full-time ministry. Previous Previous post: In God We Trust? Next Next post: Living Together? Pastor Alan, I just LOVE your newsletters. They are always challenging and uplifting. Thank you so very much! My very best to you and Dorothy. God bless you both for me.